This was meant to be a happy day for me. I am no stranger to Batticaloa. This is a place where my great grandfather Richard Aiyathurai Hoole served faithfully as Secretary of the District Court Batticaloa and was by proclamation of the Governor allowed to keep, upon retirement, his title Mudaliyar for life. A photograph on the occasion taken with the entire parish in front of St. Andrew’s Church across the field by our venue is a treasured family possession. We have been battling with Musthapha for long. Finally he gazetted the ward boundaries and number of representatives for wards in April. Without attributing reasons, he made the effective date of the gazette 1 July. So we waited. He also had to correct mistakes in Act 12/2012 with several flaws without doing which we could not hold elections. Among the many flaws are 1) In the so called original Sinhalese version, for the term polling district (chandha kottasaya) with about 1500 voters, the term ward (kottasaya) with about 5000 voters had been used. (There being no mistakes in English exposes the pretended nationalism where the drafters work in English and claim to have worked in Sinhalese, which makes the flawed version the authentic one). 2) The counting place for postal votes was specified as a place where the chief counting officer would not have access to the result to declare a winner. and 3) Candidate deposits were hugely increased to make it impossible for small parties and independent candidates. The corrections were drafted, after 2 years of our requests, as a bill on 02.06.2017 which is awaiting enactment in Parliament. We were elated. After 19 months on the Commission mainly doing voter registration and education, transfers and permissions to retire, we looked forward to conducting a real election. Then Mustapha pulled a fast one. On 1 July, he issued a new gazette postponing the effective date to 1 October. He is a fox indeed! Even after 1 Oct. there is no guarantee on enacting the Bill. A thief told the master of a house, “There is an egg thief going about. Leash your guard dog to the chicken coop.” The Master did as advised. While the dog waited chained near the coop, the thief went to the house that night and cleared off with the gold. We of the Election Commission are the guard dog. We are here to tell you of our democracy and guard the integrity of the voter register. But of what good is the voter register when you have no election to vote at? While we divert your attention to voter registration, the thief, our government, has walked off with our prized possession, our elections. The Election Commission has been suckered into diverting your attention, calling ours a democracy and justifying it with ceremonies like today’s, while you really are denied your right to choose who governs us. How did these thieves take over? 1947 saw the time when rogue MPs had been bribed with Ministerial positions to disfranchise the hill country Tamils. Clean politics came with SJV Chelvanayakam who eclipsed every politician. Many politicians of that period agreed with this assessment. In the 1956 elections, he had entrusted “Pottar” [later Senator] Nadarajah with filing his nomination papers. Upon reaching the GA’s office and realizing that SJV had forgotten to sign the papers, Nadarajah went out, forged SJV’s signature and filed them. The Federal Party swept the Tamil areas. C. Suntharalingam who was defeated in 1956, somehow got wind of this and filed a complaint. SJV was advised that saying it was indeed his signature would solve the problem. But SJV insisted “I will not tell a lie.” The party panicked. At the inquiry he testified, “I sent Nadesan with my full authority to act for me. When he signed my name, it was my signature.” His position was upheld and he served as MP. And today? Pottar was murdered by the LTTE for participation in the District Council. Chief Minister C.V. Wigneswaran of the FP is being propped up by Suresh Premachandran’s EPRLF, PLOTE, Tamil Congress, EPDP and Sri-TELO. I need say no more. On 2 July Uthayan newspaper announced that CVW, in trying to fill the two ministerial vacancies, had asked for the CVs of those interested. He was trying to show that he is on the side of probity while the rest of the FP was not. He wrote to a person showing interest that he cannot be considered because he had played a role in the murder of Sivaram (nom de plume Taraki). At the time newspapers stated that the vehicle of Tharmalingam Sitharthan, MP had been used. Intrigued, I made enquiries. That letter of CVW’s is in the possession E. Saravanapavan, MP, who is prepared to release it to the public if the story is challenged by CVW. The Provincial Council Member allegedly involved in Sivaram’s murder is a PLOTE representative from Nedunkerny. He is so blood curdlingly brutal that he had once shot someone in Vavuniya. However, upon hearing that his intended victim had not died, he returned on his motorcycle and shot that man dead as he lay on a wailing woman’s lap. The NPC has others of similar ilk. Such a man had looted a cooperative store. The LTTE had fined him Rs. 83 lakhs. It is thought that he did not pay the full fine because the LTTE’s demise intervened. The man then asked the FP for nomination and was turned down. He then went to Suresh Premachandran and received the FP name tag under the EPRLF quota. He is now a member in CVW’s corner. This fiasco for democracy happens because good people will not stand as candidates and we ourselves vote for bad people. Standing for election is expensive. We need to be known for people to vote for us. Once we spend our money, we are broke as an uncle of mine married to SJV’s niece was after he successfully contested for a seat at the Jaffna Municipal Council for the FP. Supporters had to go house to house, and be served tea and lunch. Notices and posters had to be printed; campaign platforms built. He ran the illegal post office. He went to prison for his participation in the Tar Brush campaign. After two MMC terms he was flat broke. He went abroad and settled his debts but his supporters felt let down, asking me: “Thamby, your uncle has left us in the lurch to make money.” They did not know how expensive politics is. What do politicians who spend themselves broke do after winning? The wife of a minister in this government told me that her husband had put her house as collateral for a loan for campaign finance and she would not know where to turn if he had lost. The poor woman was unwittingly telling me that by winning he had the chance to recover his investment. Politicians who spend to win, then make money through corrupt deals and favours. Only a fool would spend his personal wealth and not want to recover it. Corruption is intrinsic to our politics. The only solution is through laws limiting spending on campaigns and paying credible candidates from government coffers. These are both successfully done in many democracies. But why do We Vote for the Corrupt? 1. Social identity. The class background, ethnicity, and religion of the voter affect whom voters choose in an election. Parties cater to social groups in order to garner loyalty, and during a campaign are likely to “remind” any aligned social groups of their identity – for example preferring the Sinhalese national costume to their usual shirt and trousers. For us, language, religion, caste and whether English-speaking or not, are determining. 2. Party Identity – Again Identity! Party identification is voters’ psychological attachment to a political party. Usually, citizens learn party affiliation early in life, from family or social ties, as well as the political context during which a citizen grows up. In Jaffna, a young boy running about in the 1960s shouting “A Cross for the Federal Party” would find it difficult to do otherwise even after the party has changed. Sivaram’s killer getting elected is because he had the House symbol. 3. The National Economy: It is seen as a reflection of incumbent performance. Voters respond rewarding incumbents when the country prospers, and punishing when not. 4. Policies: Certain voters vote based on specific policy. Candidates accordingly adjust their positions on these issues to ones which they believe will gain them the most votes. In most cases, however, issue voters still tend to vote on party lines, so policy issues are still secondary. 5. Candidate Traits: Conflicting evidence exists on whether candidate traits affect voter choice. Most campaigners assume that voters are swayed by physical attributes and personality. These, however, will matter significantly only after party affiliation. So light-skinned men effeminately dressed in white, and cinema actresses winning is more likely because of their party rather than appearance. We need to move towards policy and economy rather than identity. But when we ignore identity when rival groups do not, it would affect our community badly in our charged system. The Election Commission hopes to gazette a call for nominations on 2 Oct. for the Sabragamuwa, Eastern and North Central Provincial Councils. But these elections will not be national in scope to be a referendum on the government’s performance. Observer Groups that met the Election Commission said their cooperation for a postponement had been sounded out and there was talk of a constitutional amendment to postpone even these. Are we paying taxes for criminal politicians to rob!? Instead of going after the Rajapaksas criminals who stole our money this government just keeps taxing us more and more what a joke. This is how they fool us. New drama is Maithripala Sirisena wants control of the FCID for 3 months!! Is he going to actually go after these criminals or help protect them!!? If it’s another election stunt don’t expect votes till we see real action. Time has come to take the power out from politicians. Selfish politicians have ruined the country for 5-6 decades and created disharmony among ethnicities. All corrupt rogues should be sent home and new set of people should be elected to the Parliament. The next election is crucial. I was contemplating who would be the best to be our next President. Given the current predicament, we are not in a position to trust any politician to take country back from the devastation. Therefore, we need to go for a radical choice. I am seriously thinking, the Most Venerable Chief Prelate Thero of Asgiriya Chapter should be elected as the President. This is the only way to take the power out from politicians and correct all the blunders they made. If the Chief Prelate Thero is contesting, nobody else will contest. Therefore, there is no need to waste Billions to hold an Election. The transition of power will be very smooth. I have a name for the Prime Minister, too. What we should do is, establish a Council comprised of Buddhist Monks in between President and the Parliament and entrust them to take long term policy decisions and pass them to the PM for implementation. By the time President’s tenure is over, the PM should be elected as the President. Once his term is over, his PM should be elected as the President. Both President and PM should have only one term. Too many terms make anybody power hungry, greedy, back stabbing, corrupt and autocratic. Sinhalese need to train future leaders. I have thought a lot. This is the best way. We all love our country and want the best for our country. We can’t trust politicians anymore. The present rotation system should be discontinued. “I have a name for the Prime Minister, too. Iran, in one word. They have the system you suggest, and look where it has got them. Your PM candidate has the initials W.W. of course. Don’t be shy, tell us. 1 He gives up his limo and walks to his dana. Honestly, I never knew Iran had the same system. My proposal was actually to keep politicians away as much as possible. My idea for a Council of Buddhist Monks is to forego bureaucracy, lethargy and undue delays in Decision Making Level. If we have One Central Place where all the decisions are taken, the country will flourish in no time. PM and 30 Ministers (as per the current Constitution) are more than enough at the Implementation Level. They DON’T need Deputies. What we need is less talk, more work. About only one term for President/PM concept – actually I took the example from Phillippines. Anyway, whatever our political differences are, the former and current Presidents should be given due recognition, respect and priviledges. They should never be treated the way they are treated now. We should not treat them as burdens, but assets. We need more humanity and less politics in Sri Lanka. Anyway, it was politicians themselves who ruined the system. Ok, I didn’t understand the last part of your comment, starting from Your PM…..
May be I shall reply later. What are upi ging to do if somebody else puts his hat in the ring? A population of 22.5 million, and, is it about 13 million voters, it is quite possible that one or two mad guys WILL contest. If they do, I wonder what you propose doing? Highly unlikely. Even if somebody contested, there is a very low probability it to be a Sinhalese Buddhist. We are 70.2% of the population. Nobody with a right mind will contest against the Chief Prelate. If the Chief Prelate Thero is elected unanimously, billions of election money will be saved. No hatred, no competition. The Chief Prelate Thero is tough, who could keep everybody in their place. Sri Lankan needs a SanghaRaja who could bring greater good to the country. Champa: where daisey lama did not succeed you won’t but will be swallowed by the very kuddu carrying plague that has to be set on fire. cbk got BSE to be promoting the plague. 55% of exports are to US/UK.? so what do you offer to become subic bay? The donald will have none of it as he has gifted 12 drones for operating security from andaman.- china can’t do china pattas at your beck and call.- Brahman rule the sea not dalit he would rather lift the island in a game of chess with Bojo- chess is an Indian invention not a noodle thing. I haven’t even tell the governing part. I am not someone who throws all the cards on the table at once. First the country should be saved from politicians. Federal Constitution, UNHRC Resolution, OMP, Hybrid Court, Voting Rights for IDP/LTTE Diaspora, ICPPED, Amendment of Vihara Devalagam Ordinance – all these are treacherous moves against the country. ICPPED is the “Mother of all Betrayals”. Federal Constitution is the second. This government doesn’t have a mandate to do this. None of these were election promises. Abolishing Executive Presidency was the only promise which has rejected by the country after realizing the grave repercussions it could bring on Sinhalese nation. We don’t have a strong opposition in the Parliament, not strong, actually there is no opposition in the Parliament at all. None of Acts passed so far received opposition votes. Wimal is a hostage of the JO. Even when Ranil was the Opposition Leader, he had more backbone and clout to oppose MR’s government and vote against them although their number was small. JO doesn’t even have the backbone Ranil had at the time. There is no balance representation in the Parliament. No voice for majority views. Therefore Maha Sangha should take the battle into their hand. Every reaction has an exothermic and endothermic effect except in so far as it is compelled by doping. Obama approved grand slam Nandikadal and stopped any form of UK doping so when Rajapaksa was hounded to District Court of Columbia Obamas Justice Department advised the Judge to declare the case null and void . Cameron could not have braved through the defences if UK had any fear and Secretary of State Gen. Colin Powell and Clinton of UN were not given the permission to travel north by President Bush during Tsunami. So now the endothermic is taking place – the plague has stuck and it has to be eradicated before you sit for any new constitution is my belief. If a Mahanayaka was possible then Sobita would have consented. It is highly unlikely that a Mahanayaka would be permitted to win because the exports dictate who wins. The plague sits with the left and right of the government. plague is the cause of your suffering. Champa no one can be champion from the south because it was not meant to be. that says only about the food that you eat in your well but there are several wells that do not need your buffalo curd and honey because it has too many horns and uses it endlessly on every issue. 1. Dialogue and negotiation is the only way to peace. 2. Never demonize your adversaries. 3. Never be discouraged because of insults. Also request for #INTERPOL involvement in all these cases if not they will fool us again! #FCID involvement alone is not enough these cases have an international involvement because the criminals are holding the money in off shore accounts and bringing the money to Sri Lanka through shell companies for investment in projects in the country. It is highly likely for us to witness post-election violence in 2020. Unfortunate incidents might happen. Many people’s lives will be in danger, including the current President and his family, siblings, etc. Even women and children will also be targeted. Not only that there will destruction to houses, businesses, etc. I have no love for any of these politicians, however I don’t like to see people imprisoned and their families and loved ones get hurt. Even UNP has a violent past. Although they won, they couldn’t take any revenge from SLFP because the candidate they fielded for presidency was from the SLFP. If it was not for President Sirisena, there would have been severe post-election violence in 2015, not once, even twice. Lord Buddha said “Hatred does not cease by hatred”. “An eye to eye makes the whole world blind”, Mahatma Gandhi said. None of these people in the SLFP or UNP should come back to power in 2020. Someone completely different should get hold of the country. I was serious when I suggested Chief Prelate Thero of Asgiriya Chapter to be elected as the next President. There could be, I also don’t know for sure, bloodbath and it is better we prepared for eventualities not take chances. Observer Groups that met the Election Commission said their cooperation for a postponement had been sounded out and there was talk of a constitutional amendment to postpone even these. Another 18th Amendment? Is that easy to play with 13th A’s elections? Do these provinces want a postponement? (1) Get your facts correct. C.Suntharalingam was NOT defeated at 1956 General Election. In fact, FP did NOT run a candidate against him and instead supported him. Suntharalingam himself addressed Election Meetings in support of certain FP candidates ( Amirthalingam in Vaddukoddai) at this Election.. True to his enigmatic traits, he also supported GG Ponnambalam in Jaffna. (2) Your narratives betray pride and prejudices..You have a visceral hatred for C.V.Wigneswaran. Not that he is above criticism. He has his quota of failings. But, I have known him as an honest person, though may not be judicious.. Be objective. Otherwise, your comments may sound incongruous with your persona as an academic. (3) Your recent comments on NPC No-Confidence Motion against CVW (“Jaffna in Confused Turmoil” CT-June 17) was a gross travesty. Sadly, they reflected on your intellectual honesty. Why such misadventures.? I apologise to readers for the mistake on C. Suntharalingam’s electoral defeat in 1956 and thank Mr. Karikalan for pointing it out. It was at the 1960 election that he was defeated. He was never successful as a candidate after that. After March 1960 CS decided to keep out of parliamentary politics. But he contested KKS in 1970 in the wake of his disastrous performance in the temple entry struggle of 1968 and litigation following it. He invoked religion in his campaign in KKS in 1970 which was handsomely won by SJVC. “”which was handsomely won by SJVC.”” and left a 90k widows to be still used as pawns in that crusaders crusade. The island does not belong to the sinhalese tamils or muslims anymore you are just the pawns with waffel waffel burp- the worst is yet to come . The island will be divided between China and India. Do not mix two unrelated matters. The government was wrong to unduly postpone the bye-election for KKS. SJVC was the most trusted candidate at the time. One should respect the verdict of the voters. The tragedy that followed the Vaddukkooddai resolution cannot be blamed on the FP/TULF alone. They have much to answer for but successive governments have their matching share, especially JRJ’s. 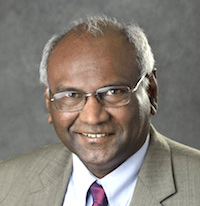 Canadian citizens of Sri Lankan Tamil origin are submitting a formal complaint through lawyers to the FCID of the Sri Lankan Police about alleged misappropriation of funds by Chief Minister Canagasabapathy Visuvalingam Wigneswaran and his “adviser” Nimalan Karthigeyan Rasiah. The complaint to the FCID concerns 50,000 Canadian dollars that was handed over in Toronto for the Northern provincial council to be utilised for rehabilitation and re-sellement projects in the North. The money was allegedly accepted on behalf of Wigneswaran by Nimalan Karthigeyan Rasiah who was introduced to Canadian Tamils as an Australian citizen now working as a consultant to the Northern provincial council and as “strategic adviser” to the chief minister. Apparently Mr. Rasiah was in charge of Wigneswaran’s itinerary in Canada while the Northern chief minister visited Canada in January 2017. It is alleged that he money was accepted by “Nimalan” on behalf of the chief minister in the presence of Mr. Wigneswaran. Meanwhile there also have been allegations that Mr. Wigneswaran and Nimalan Karthigeyan Rasiah collected large sums of cash elsewhere in Canada during the 2017 visit for the ostensible purpose of rehabilitation projects to be undertaken by the NPC. However thee have been no reports of any such projects commencing in the North so far. When NPC opposition leader Sinnadurai Thavarajah raised a question on May 24th at the NPC about money allegedly donated to the NPC through the chief minister during his foreign trip, Mr. Wigneswaran blatantly declared that no money had been received by him during his overseas trip. That is telling the truth without being honest. Money was collected using his name and he knew it. The money is perhaps still in Canada. CVW has to tell the Tamils of the North a little more than “I received no money”. DBS J is good at distorting facts to suit his article. In the recent one on Ananthy he goes on and on about LTTE but he was comfortable with former JVPer and Minister Wimal Weerawansa. DBS J must go to Canadian Police with evidence. You could do that too. Remember the Canadian Tamil Congress (CTC), which sued Sri Lanka-born terrorism expert Rohan Gunaratna for linking it to the LTTE, has been awarded $53,000 by a Canadian court. Do you mean arrogance and prejudice? Yes, what Prof. Hoole said was very true. We need people like him . I liked his way of writing and language. Mr C.Sunthalingam was elected as Member of Parliament from Vavunia Electorate in the 1956 general election and functioned as an active member from the opposition during those turbulent period. Faizer Mustaph was in the Rajapakse cabinet too. He was then manipulating things for Rajapakse. Can a country be this bad ! The author bemoans the non-holding of elections. And he is one of the three members of the “Independent” Elections Commission! At one level this may appear to be hypocrisy, but digging a little deeper one finds that this man, and the Chairman of the Commission, Mahinda Deshapriya, have been consistent in shouting about this. Also, googling a bit makes it clear that Prof. Jeevan Hoole has not been compensated in some other way for helping maintain the facade of democracy. The elections that have to be held are at local elections. Each of us is aware of how there seems to be some little despot not allowing insignificant little bits of democracy being subverted at much lower levels. So, a School Literary Association will not have properly conducted elections, a Death Donation Association may have a few people manipulating, etc. Thankfully these are less likely. However, what we do witness are mafias at a slightly higher level controlling what happens unfairly. It’s too early in the morning for me to think of a more cogent way of saying “Bravo!” to at least this one man who keeps trumpeting the what amounts to corruption from the roof-tops. Cogent, or not. let me thank the good Professor for his honesty, single-minded advocacy of real democracy. Today’s news says that New King was up against Ranil saying that UNP was investigating New King’s supports only to make Joint Comedy Club become stronger. He said that real criminal are allowed walk free. This was the guy made Director Dilrukshi resign from bribery commission. SLFP and UNP are fighting within themselves only to fine tune the investigation procedures for the purpose winning the next election only; and they don’t give damn about discussing about it publicly too. People have only one way, “Palaiya Kurudi Kathavathai Thiravadi”- Get back to Old Royals. (anyway, there will be another election coming after that, to fire Old Royal, people can use it too; in that they can bring back Yahapalanaya. That is how the serial dramas of the democratic elections of Lankawe from 1948- criminals replaced by double criminals. Someone has referred to DBS Jeyaraj, who is a very bold person in writing false stories. Ratnajeevan Hoole is now making noises critical of the regime. Is there something written in the stars that we are missing? I wonder if something like that happened with the Jaffna Vice Chancellor election. While all attention was still on poor Prof. Thiyagalingam’s application issue, a person with minority support in the Council was made VC. S. Ratnajeevan H. Hoole can make mountains out of molehills. He could have said what wants to convey with “Minister of Provincial Councils and Local Government, Faiszer Musthapha had postponed local government elections by three months”. How does this make Faiszer a “fox” as SRH H puts it. Faiszer is at best an obedient dog. The title “This Government Stole Our Franchise” is emotive. SRH H takes the opportunity to drag in his great grandfather Richard Aiyathurai Hoole who served faithfully as Secretary of the District Court Batticaloa. The write up on LTTE etc etc – were these necessary? the dog that steps onto the paw of the mice catching cat. `We` the plagued mice trying to get at pillayar cheese. You seem to be in the Laa Laa Land. Homage paid to colonial bastards are not counted any longer. In fact those who paid homage (servitude) to colonial bastards are traitors of our nation.So don’t be proud of your tainted family history. Who is talking servitude? Guess the women or the marginalized people will not say that. 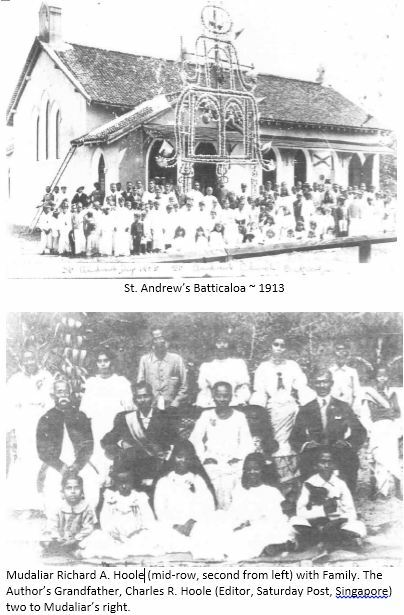 If not for the colonial period many in Sri Lanka including you would still be exploited slaves under soul-less slave owners and all women unschooled and many women would still be forced into prostitution at the Hindu temples or in keeping with Kandyan hospitality norms . We needed the emancipation the colonial govts. made law in Sri Lanka to become decent and educated for survival. Why go begging for aid from them? Prof. Hoole has paid too much for his faith in this intolerant laa laa lanka land, North or South or Middle land or East or West. All it takes in this intolerant laa laa lanka land is for oneto wear a red pottu and ash and worship at the temple or swami palaces or just circumvent a vihara like Ananda Tissa de Mel, SWRD, DS …. Only a true Buddhist will appreciate Prof. Hoole’s tenacity of faith. Tikri, check your geneology for conversion, both religion and race. You have said ” Nadarajah went out FORGED SJV’s signature and filed them”. Glad the you have accepted it was forgery at the time of submitting the nomination papers. Now being a clever lawyer SJV , instead of telling the truth, has told that ” I sent Nadarajah with my full authority to act for me. When he signed my name it was my signature. ” What sort of authority SJV gave ? Is it a verbal or written one? Any evidence? Forget about evidence for the time being, if Nadarajah had authority as claimed by SJV, he should have placed his signature and wrote underneath “under the power given to me by SJV. ” This is the standard and accepted practice and Nadarajah being a lawyer cannot claim ignorance. It was a blatant forgery. SJV wanted to save Nadarajah as well as to win the case. So he found a way around , argued his case and won. But any reasonable minded person will say it was a lie from SJV’s mouth. Being a leader of Tamil community SJV failed in several occasions; breached his promises and deceived up country Tamils. I shall narrate these another time , to limit myself within CT’s limitation. Unless there is an air tight mechanism to stop manipulations and good practices in-grown into the society democracy in a soceity like ours does not serve the purpose. Hate/scare propaganda against other ethnic groups is the main agenda in all the political parties in Sri Lanka. This is especially true for all the Tamil parties without exception, while among the Sinhalese it is only the minor parties who have it in their main agenda. While the Tamil people are kept busy worrying about what the Sinhalese can do to them, and vice versa, the politicians ripping us off. Is it jealousy on SJ’s part? I think so. I remember someone writing of Prof. Hoole’s ancestor on his father’s side and Sivasegaram jumping in in a great hurry and in joy for the kill implying it was cooked up. In proof he was citing accounts of Prof. Hoole’s ancestry on his mother’s side which of course is different from his father’s ancestry. How else can I describe SJ’s glee? It is jealousy pure and simple. Prof. Hoole has a lot to be proud of. If SJ/Sivasegaram also has, let him also boast a little. I will be happy for him. In our society, we all boast of little things at least in private but when others have better things we do not want them to mention them! Such accomplishments, degrees, family, are examples for our youth. At risk of being attacked, I say our families make us who we are. Prof. Hoole’s made him who he is and he should be rightly proud of it, and I think Sivasegaram’s made him the obnoxiously critical man he is. Assuming that this Karikalan is the Canadian lawyer Mr. Karikalan, if he had stayed with us in the ITAK, he would be our most senior member, senior even to Mr. Sampanthan and Mr. Senathirajah. He miscalculated and joined forces with the TELO and lost out. Now when he sees TELO backing a corrupt Wigneswaran regime against the ITAK, he does not want anyone to talk about it. Mr. Karikalan, Sir, please come back to us, the ITAK, where you belong. It is your home and it still has some principles although Prof. Hoole may disagree..
Prof. Hoole too should work with us and make us better than we already are. That would be of greater service than being on the Election Commission where you have no work and are wasting your talents. There is a world of difference between pride and arrogance. Many of use the word proud to mean arrogant since the same word (perumai) is often used in Tamil to refer to both. Sivasegaram’s doubts concerned claims about trusteeship of famous Hindu temples. Is there evidence in the form of a legal document, especially concerning Maviddapuram. As for envy, there are far better, decent people for Sivasegaram to envy, if he needs to envy any. This debate is unfortunate but necessary because my connection to Hindu members of my family is questioned by Sivasegaram in his comment on that by Ratnam / July 7, 2017 07:09. A slip of the keyboard? As for evidence, in 2011 President Rajapakse had told me he was appointing me VC and had signed the letter. Then the anti-Christian crowd (Neelakandan, Mrs. Kumar Ponnambalam, et al) started objections telling the President that I am not acceptable to Hindus. Douglas Devananda told the President I was with the LTTE and used documents from the Ilankai Tamil Sangam and others in Tamil which he would not have understood. This communal policy has been continued by Sivasegaram’s Selection Committee which found me unsuitable for Senior Lecturer in 2016 because of my religion and my non-acceptance of the myths about Navalar. Carlo Fonseka has certified that then VC Vasanthi Arasaratnam gave these reasons to the UGC Chairman who communicated these reasons to Chanrika Kuramtunga. His affidavit is with the University of Jaffna, within Sivasegaram’s access. Vice Chancellorship, University of Jaffna. I am the Chief Priest of the Maviddapuram Kandasamy Temple, the oldest temple and ritually the most important in Jaffna. I am writing to thank Your Excellency for your choice of Professor Ratnajeevan Hoole for the post of VC, Jaffna. He is directly descended from Sankaraplllai Somasundaram, heir to the title Kodimara Sankarar at the temple. We are happy that someone with historical links to this temple will be leading the development of the university. A similar letter was written by Maha Rajasri Naguleswarak Kurukkal of the Keerimalai Sivan Kovil. Copies of the two letters and Carlo Fonseka’s affidavit are with the Editor of CT. Editor, please verify. Sivasegaram, you have somewhere in these columns claimed a connection to Maviddapuram. I seriously doubt you are related to me in any way. Firstly, would “kodimara sangarar” by any means translate as trustee let alone chief trustee? I hope that a serious historian with sound knowledge of Tamil will clarify. Btw, a reputed historian of the UoJ told me that the chief priest is the sole trustee of the Maviddapuram temple. “Sivasegaram, you have somewhere in these columns claimed a connection to Maviddapuram.” Sorry to disappoint you. S laughs at claims to greatness by reference to “connections”, but never claims to be what he is not or resorts to underhand means to take what is morally or lawfully not his. The following and related stuff have nothing to with my comment. Hoole’s desperation gets the better of his judgment in referring to “Sivasegaram’s Selection Committee”— S could not have headed any selection committee, and selection committee decisions are collective. Claims by Hoole explaining his rejection remain unsubstantiated, despite reference to various people like CF, without no authentic text produced thus far in support of various frivolous allegations. Sivasegaram, if you have any evidence to contradict what I say, lease do so. Do not quote unknown and ignorant historians from Jaffna University to sow doubt without reason. If you do not like the following just ignore it, do not ask me for proof. I have no time to spend educating you and doing research you can do yourself digging up references. Once source is Bishop Sabapathy Kulandran: A life sketch of Canon S.S. Somasundaram Unknown Binding – 1970, Christian Literature Society, by Sabapathy Kulandran (Author). It is available on Amazon. If you look at the inner sanctum of the Maviddapuram Temple, there are three “gods.” The one on the left was built by my grandfather’s elder brother, Viswanathamudaliayar or mudlaiyarpillai or Kodimarasanagarar with special poojas and vows to overcome his childlessness. My point is that just anybody is not allowed to build Vikrahams at Maviddapuram. Your historian and even you despite your claims to Maviddapuram relationships, are unaware of the Trustee story from early in the twentieth century. My ancestor, Somasunadaram’s father (my great grandfather) was rather forgetful and had failed a few times to open the temple doors for the pooja in time. As this forgetfulness was getting more and more frequent, he handed over the keys to the priest. Some relations objected and challenged the matter in court. The Iyer, supported by my great-grandfather, retained a very good lawyer. The European judge was very young. The lawyer arranged for the Maviddapuram Iyer to arrive in court after the judge. He had already told the judge, “For us the Iyer of Maviddapuram is like the Pope for Roman Catholics.” As the Iyer arrived, the young judge ordered the entire courtroom to stand up and he himself stood up. It was unprecedented. The Iyer’s testimony was accepted and Trusteeship passed on to the Iyer. Kodimarasanagarar does not mean trustee or chief trustee. Gifted statues (vikkirakam) may be installed in temples under various circumstances. That could imply some standing in society, but does necessarily make one a trustee. A trustee is lawfully identified by a legal document like a deed. Why should I waste time investigating exaggerated claims? Ignore Sivasegaram. He deny your claims without proof but want you to prove what you say. Sivasegaram: Kodimarasanagarar is a title given because he had the right to hoist the flag at the big festival. That right was a legal right. Exaggerated? What proof do you have that these claims are exaggerated? You shoot from the hip. That is you. Your wife who knew Somasundaram’s son George Somasundaram and his daughter Premini Tissanayagam well should be able to explain to you the connexions and your shortcomings. If you are on a Selection Committee, it is your committee, and if you sign on to lies as you did saying I lack the expertise to teach electrical engineering, it becomes living proof of the liar that you are. Every time you write here, you expose yourself more. Please do it some more. That right is given to the sponsor of the temple festival on the day of the kodiyetram in many temples— but no proof of trusteeship, chief or otherwise. You invent lies and attribute to others, without a shred of evidence. You have done it very well indeed. The word normally used for “Trustee” was Maniyakaaran. A loose term was “Muthalaali” and we currently have Tharmakarthaa or Aatheenakartaa. Greatness, I think it is not inherited, bestowed or claimed. True greatness is the outcome of one’s good thoughts and deeds. Valluvar aptly said “அடக்கம் அமரருள் உய்க்கும்” (Humility places one among immortals). Is the “us” the ITAK. Sorry, it is pathetically beyond redemption. Sivasegaram proves himself to be the original confounder of TRUTH a role attributed to Saturn bahavan. All true academics must keep their breath to cool their kool/porridge- and not waste it on listening or responding to the regular verbal diarrhoea of SJ full of gas. Anyone sitting at the Jaffna Council meetings has to sit and suffer the pollution of his verbal diarrhoea for hours on end, regularly. We are then brain-damaged for the rest of the day. This is destructive to all. The new VC must inculcate in Sivasegaram the quintessential academic trait of thinking logically and then speaking his point concisely like a true academic. Empty rhetoric had been left to go too far to kill the University’s and our valuable time. SJ is writing to bully Prof. Hoole as usual. Not surprising- Once Prof. Sivasegaram was, chasing after us and telling us students that computer science is taught at road side shacks. and no one should apply to Dept.of Computer Science/Engineering at Peradeniya University. But computers was the future and his mechanical Dept. was so outdated. Prof. Hoole’s Computer science/engineering program was purposely delayed by him and hand in hand with Prof. Gunawardene, birds of a feather. Then some of the funds Prof. Hoole got from UGC was taken by other Professors. The Ph. D of such a destructive person should be revoked by the University that granted it. This is the road of all jealous academics. They will not advance truth/research but spend all their time destroying those who do it. 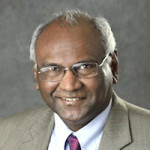 Prof. Sivasegaram displays his ignorance on the topic . He did not grow up in Jaffna nor bother to find out from secondary/primary sources. He has never taught one single Social Science course. So he has no credentials to show on this. Prof. Hoole should help find some graduate student from another country to do an unbiased/unedited Ph. D thesis on our most respected temple in Jaffna, while there are people still living who knew Sir’s grandfather. My parents talked of a court case related to the handing over too that came in the papers. – Not to prove to SJ but as an academic duty.